I love to work with public art committees; they help shape the final outcome for their communities, as they should. I’m a mosaic artist that uses hand formed tile that has been quarried to fit the shattered esthetic that I love. 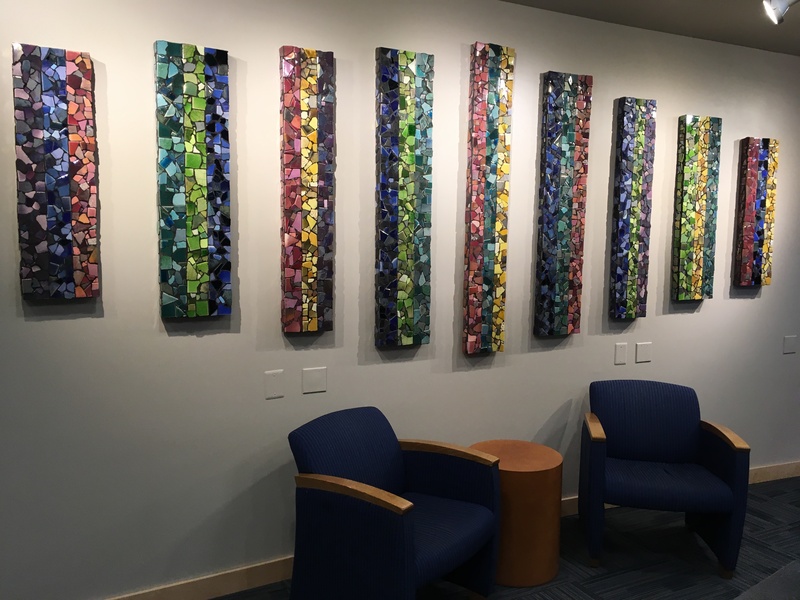 Broken tiles that have been repurposed are a joy to behold, the way they catch and refract the light bringing a sparkle when viewing the completed mosaic mural or sculpture. As a whole, the West has influenced my esthetic, the feel, and the dance of light in my work. Each individual tile it’s color and shape will be chosen to express the dynamic changes in the surrounding landscape. As a fine artist and community organizer I bring a unique perspective to public art. The nature of creating a focal point for a public building inside or outside is exciting to me. For the past 35+ years, my imagination and natural sense of design have helped create award-winning ideas and effective artful solutions for many public venues. 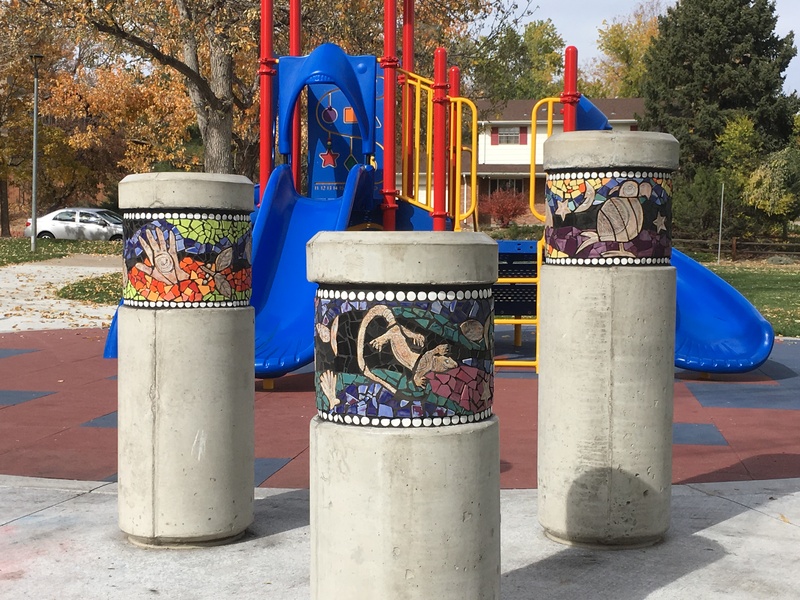 Each installation is designed and built for the location working closely with project Architects, Landscape Designers, Art Selection Committees and the public to ensure the artwork works well within the projects overall design goals. I’ve had great success in working on the mosaics in the studio and transporting and installing the work directly on a multitude of surfaces. The process is documented and designed so that the committee/public can be part of the process and give feedback. Mosaics last for decades with minimal upkeep, just a wash of a water-based sealant in the fall if they are outside is all that needs to be done to ensure longevity.